2 by 3 Heroes: Nice try. I'll do my best to bring this around as a card post, as frankly, I haven't posted much lately (a little bit of writer's block, a little bit of personal blahs, a little bit of time constraints, etc....), but at least I was able to get a good smile on my face, and I thought I would share, maybe to put the same smile on yours. Thank you for getting back to me. Can you assure me that it's in good state and that i will not be disappointed with it.I'm ready to pay your asking price and to be honest, i wanted to buy this for my father, but the issue is i am an oceanographer and i do have a contract to go for which starts tomorrow and am leaving any moment from now.The contract is strictly no call due to the lack of reception on the sea area. But I'm able to access email anytime as we will make use of laptop so my only quickest payment option is PayPal as i can send money via PayPal anytime.Since I'm requesting this transaction to be done via PayPal, i will be responsible for all the paypal fee/charges on this transaction and if you don't have an account with paypal, its pretty easy, safe and secured to open one. Just log on to www.paypal.com. I hope we can make the purchase as fast as possible? I have a mover that will come for it once payment clears and they will take care of very necessary paper for me. So i look forward to hear from you soon. will like to see more pics. I need the address where the agent will meet you and your PayPal email address so i can send the money now. The ad states I do not ship. That is not negotiable. You come to my house, you pay cash, you walk away with routers. The only way I will change that policy is that the price of the routers is changed to 1 million dollars. Per router. So if you would like to spend 4 million dollars and send your agent over, then we'll talk. 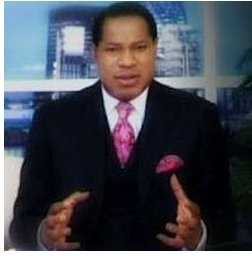 And wow - you are an oceanographer AND a televangelist in Nigeria. Any chance you also have $35.7million dollars from some late prince you need help getting out of the country? Cuz I would be totally interested in helping you with that as well. Ok - card stuff. I have a BUNCH of packages I am still trying to get out. See the first paragraph to understand why they are still on my desk. I hit a 5th jersey in 2012 A&G - David Wright. I'll post all my A&G hits that are up for trade. Really don't want the uniforms I got and would love for them to get to people that would appreciate them more. Ok - I'll stop here. Enjoy the laugh.